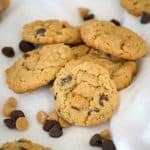 Double Peanut Butter Oatmeal Chocolate Chip Cookies – a peanut butter oatmeal cookie made doubly delicious with the addition of peanut butter and chocolate chips. 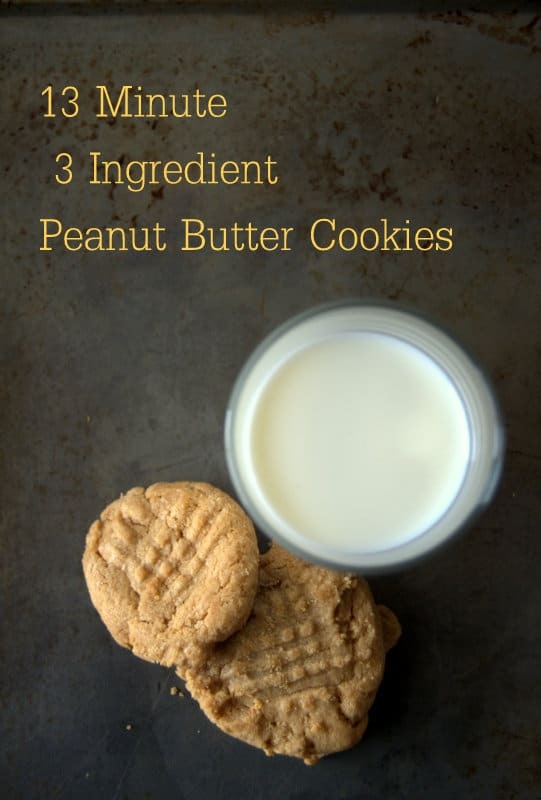 It will melt any peanut butter lover’s heart! Here’s Day 3 of our 12 Days of Cookies! Are you all done with your present shopping and are you all wrapped? I have yet to purchase any presents which of course means nothing’s wrapped. I’ll get there, I always do. Every year I say I’m going to change things though – shop earlier and finish things up weeks in advance so I don’t have this last minute rushing around. There are times that I’ll see things during the year and want to get them, but I know I’ll put them somewhere and forget about them when Christmas comes. My mother always used to do that, too. In April, she’d pull out a wrapped Christmas present. It was so funny. 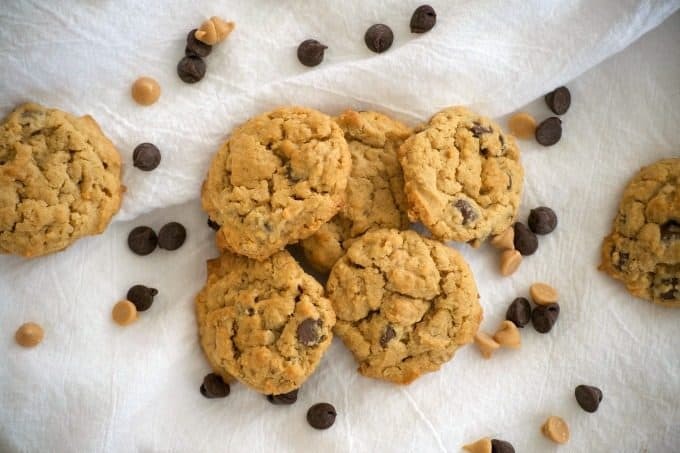 These Double Peanut Butter Oatmeal Chocolate Chip Cookies are bursting with peanut butter flavor and just a hint of chocolate. The perfect midnight snack! Prepare a cookie sheet by lining it with parchment. 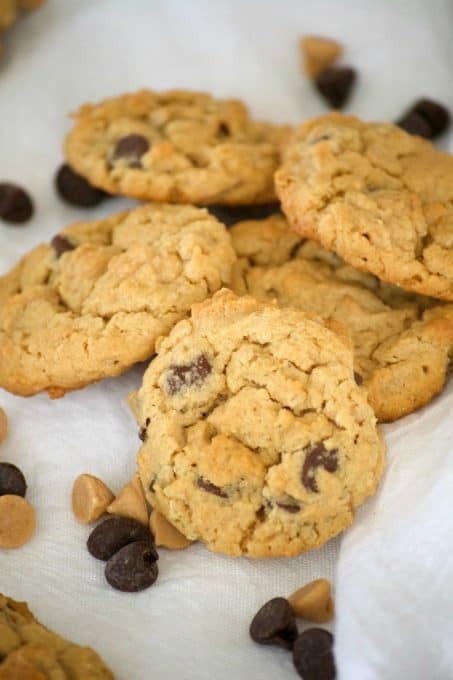 In the bowl of a mixer, cream together the butter, peanut butter, both sugars and vanilla. Add the egg and incorporate fully. Gradually add the flour mixture on low speed and mix until just combined. 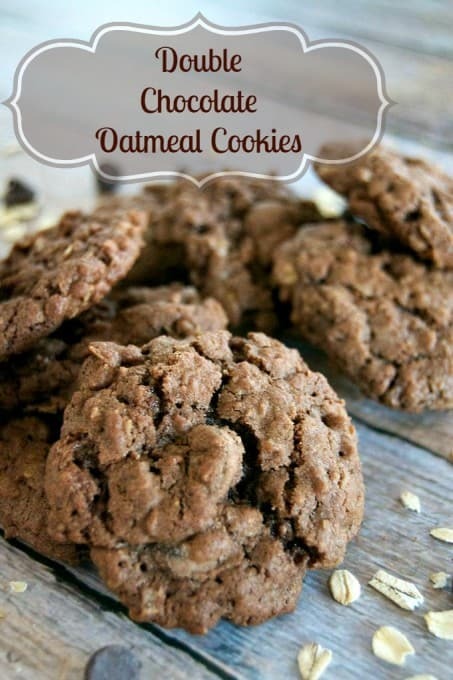 Mix in the oats and then both the peanut butter and chocolate chips. 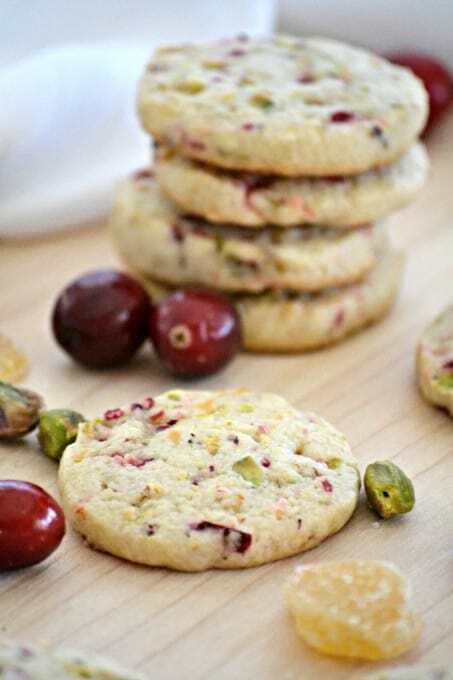 Using a flattened tablespoon of dough, place about 2 inches apart onto the prepared baking sheet. Bake for 10 - 12 minutes, until lightly golden. If I were still using my rolling pin rating, I would have given these a 4. They have been such a hit with the family, so I’ll definitely be making them again throughout the year.